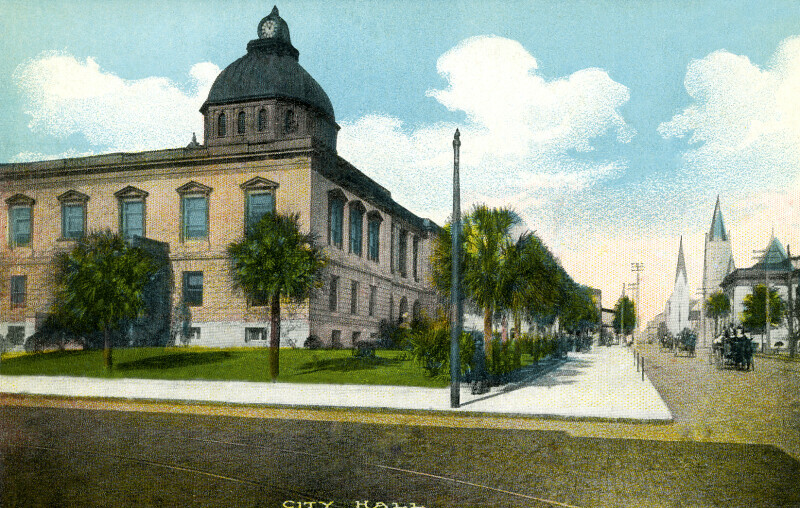 The Jacksonville City Hall building is a two story building. There is a dome on the roof, with a clock at the top. The grounds are grassy, and palm trees define the perimeter. A wide sidewalk runs around the building.